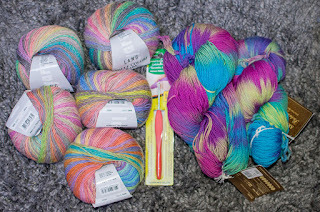 Andreas made the mistake of booking us into an apartment with a yarn shop on the same block, then didn't take photos soon enough for me to start while still in Vienna. Result? These balls are going in my stash and the afghan I'm making is using Caron Cakes.